Effectively and efficiently manage the complex needs of your dual eligible and special needs populations. Dual Eligible—people eligible for both Medicare and Medicaid—Special Needs Plans (D-SNPs) have complex care requirements. For example, 55% of beneficiaries have three or more co-morbidities and 58% are struggling with mental health and cognitive issues. 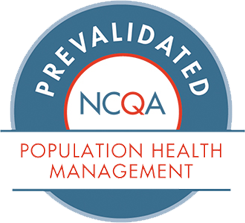 It is challenging to coordinate this population’s clinical care and behavioral health needs, share information among all care team members, and ensure compliance with both Medicaid and Medicare regulations. Download this data sheet to learn how Jiva helps D-SNPs coordinate and align care among all stakeholders across the care continuum for better outcomes and lower costs. Please fill out the information below to download the Jiva for Dual Eligible and Special Needs Plans product sheet.